One of the first questions that people ask me about Hawaii after "How long is the flight?" is "What's the shopping like?" The shopping is amazing people! 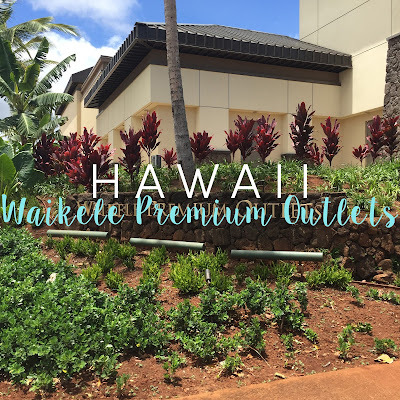 There are lots of different places to shop but our first port of call is always Waikele Premium Outlets. Located around 30 minutes outside of Waikiki, Waikele Premium Outlets boasts over 50 designer and brand name stores stocked to the brim with end of season stock and clearance items. American's really know how to have a sale. None of this 20% off the New Zealand calls a "sale". Prices at Waikele can be slashed by upwards of 60-80%. They want this stock gone and the amazing prices reflect that. Before leaving for Hawaii vacay I would definitely recommend signing up to the Premium Outlets VIP Club. This entitles you to a free Savings Passport to get additional discounts from many of your favourite stores at Waikele. I know - it's discounts upon discounts! Amazing huh! After signing up you simply need to print a coupon (valid for 30 days from printing) and take it with you to the Visitor Information Kiosk upon arrival at Waikele where you will be issued a small brochure sized booklet with all the additional discounts listed inside. Simply present the Savings Passport when making a purchase and the additional discount will be applied. Too easy! Waikele Premium Outlets is owned by Simon Property Group who own over 70 Premium Outlets through out America so no matter where you are travelling there may be a Premium Outlet near you so this is worth while even if you're travelling somewhere other than Hawaii. - Shuttle which is my preferred method of transport. We used Roberts Shuttles who we also used for our airport transfers too. For just $15 per person return, you get picked up between 9.00am - 9.30am at one of seven hotels within Waikiki in an air conditioned coach and taken directly to Waikele and then taken back to Waikiki at a time of your choice - either 2.00pm, 3.00pm or 4.30pm. The 2.00pm return shuttle is very popular but it's nit enough for us. We ended up catching the 3.00pm shuttle back and even then we were power shopping the whole time. You can easily spend the whole day there and we ended up going back to visit a second time when we had a car for all the things we wished we'd grabbed. Waikele Premium Outlets challenged us to see what bargains we could find for $100 so we decided to gather together a summer wardrobe for our girls. It is so cheap to dress your children in amazing quality, stylie clothing for just a few dollars. Tee's, tanks and shorts were just US$4 each at Carters. Osh Kosh denim jeans and overalls were just US$8 a pair (they're well over $60 in New Zealand). And Gymboree had nothing over US$9.99. 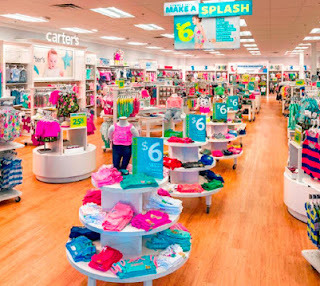 Plus, using our Saving Passport meant we got another 20% off our whole purchase at Carters and Osh Kosh, and 25% off at Gymboree. It feels like they're almost giving the clothes away. It's incredible! We added in a few dollars ourselves but below is just a fraction of what we brought home for the girls! Yep, the shopping is good! Once the girls were taken care of Jamie and I started shopping for ourselves. There is a good mix of designer and mainstream brands including but certainly not limited to Armani, Adidias, Asics, Banana Republic, Calvin Klein, Converse, DKNY, Guess, Hugo Boss, Kate Spade, Levis, Nine West, Ralph Lauren, Saks Fifth Avenue (which is massive in itself! ), Skechers, Tommy Hilfiger and True Religion. Not officially part of Waikele but just down the road a little there is also a large GAP and Old Navy outlet plus a big Kmart which is different from our Kmart in New Zealand. They sell more name branded products than ours does. You can pick up Dickies and Carhart for around $10-$20! There is also a large Sports Authority but this was in the process of closing down nationwide so it will be interesting to see what goes in there next. One of my best buys was at Kate Spade. They had 60% off the day we went and then as I walked in the door they gave me a coupon for an additional 20% off! 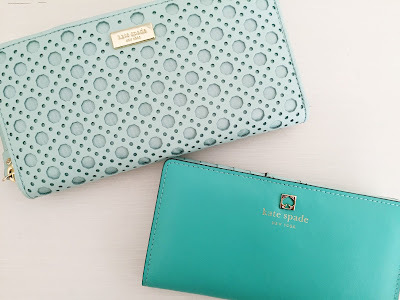 80% off Kate Spade! I came away with two beautiful purses which I saw so thrilled with - one for US$53.76 (down from US$168.00) and the other for just US$37.76 (down from US$118.00). Another great find was some amazing sunglasses from Guess for just $35.00! I love these! Thanks for sharing! Finding a good deal for Hawaii trips can be stressful and expensive. Try checking out online booking sites like https://www.discoverhawaiitours.com/ for great Hawaii tours and vacation deals!